Are you looking for an auto repair shop or parts store in the south of Metro Manila? Now you can take the guesswork out of the whole service and repair experience. You'll see how the car care veteran and industry expert, Customers Cradle, excels in the cars business, customer service and motorist satisfaction for the past 27 years. It formally opened its second shop along Daang Hari Road, Molino IV, Bacoor, Cavite earlier today. 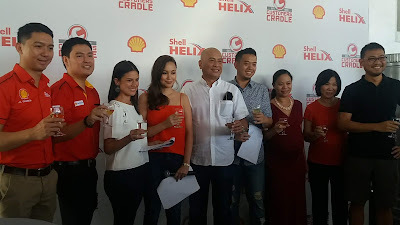 It was established to cater to loyal patrons from Cavite and Laguna, who used to traverse the Alabang-Zapote Road just to reach Customer Cradle. 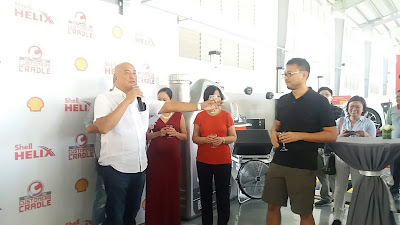 "We set up the new shop to cater to our loyal customers from the south of Manila who used to deal with the usual heavy traffic on Alabang-Zapote Road just to be able to have their vehicles serviced at Customers Cradle,” Proprietor Why Dagondon reveals. 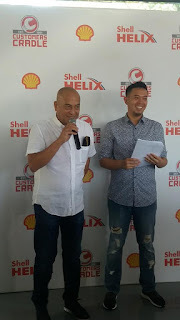 “With this new branch in Bacoor, they can now get the same service they have come to rely on from us in an area where traffic is relatively lighter,” he adds. Customers Cradle is a one-stop automotive facility equipped to handle all of the motorists’ car care needs, such as major engine overhaul, state-of-the-art 3D laser wheel alignment, professional diagnostic scanner, dyno tuning, under chassis work, car detailing, nitrogen tire inflation, change oil, tune-ups, and auto detailing. Their newest facility had parking at the lower ground area. It has a spacious, air-conditioned lounge, where customers can watch TV, read or browse the internet while waiting. It even has a kiddie activity nook to keep the young ones entertained as their parents go on with their business. 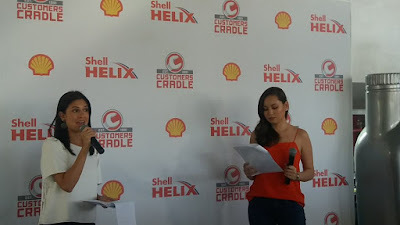 The activities started with the blessing of the 3-three level car shop followed by a short program with Bianca King as host. An integral part of Customers Cradle’s service is their computerized monitoring system. Through it, customers can see the status of the repairs being done on their cars in real time. This monitoring system allows the customers to have an idea of how much time they need to wait before the repairs or services are completed. This is particularly useful to busy customers who need to tightly schedule their activities for the day. “As soon as customers drive into the shop, our attendants key in their pertinent details on a computer tablet, including the services that are needed to be done for their vehicles,” Dagondon describes. 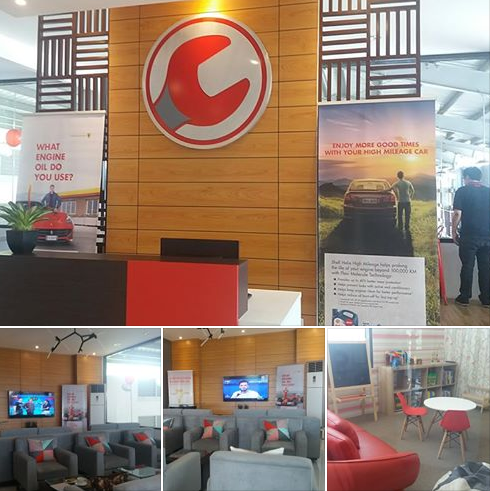 The customers can then see the progress of the service being done to their cars on computer monitors located at the customers’ lounge itself. 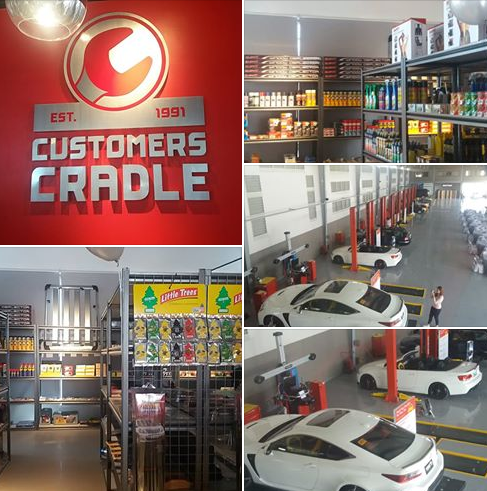 Dagondon, who himself is a car enthusiast with several functioning vehicles in his garage, states that over the course of 27 years, Customers Cradle has built a following of loyal customers who have placed the care of their valued cars to their shop. “It’s really not a wonder that Customers Cradle has amassed quite a number of loyal customers,” states JL Gamboa, IWS and Retail Channel Marketing Manager of Shell Philippines, Customers Cradle’s brand partner. “Their service is not only top-notch, the effort they put into making sure the customers are happy with their service is something to truly admire,” Gamboa adds. “This is the reason why Customers Cradle has been a long-time Shell partner. We believe in their commitment to service excellence. More than that, they trust in our lubricants. 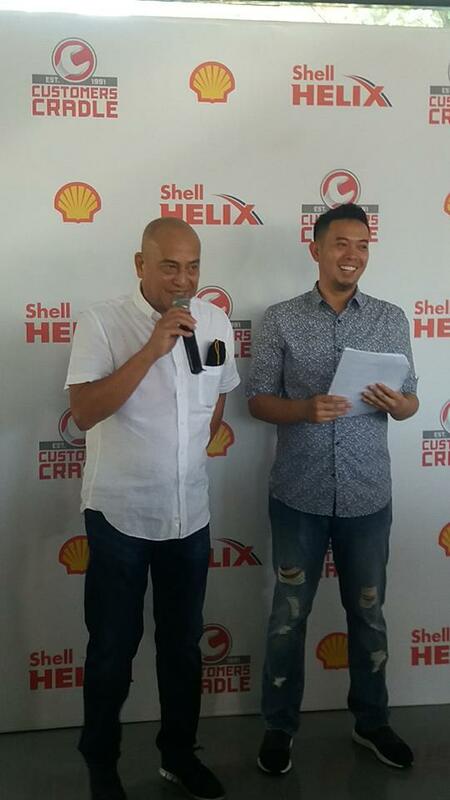 We are not just a supplier to them but a business partner that advises on how both businesses can grow,” Gamboa stresses.